Sick of storing your Flexo inside the vacuum cleaner bag? This is the perfect solution, complete with dividers for keeping everything where it should be. Suitable for the Builder and Inventor sets. Now, as I sit to write this review I do wonder how I can meet the minimum of 200 words writing about a plastic container?! We&apos;re going to give it a good shot! 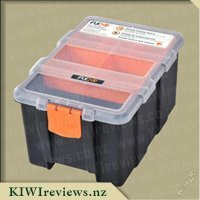 I recently received one of these Flexo small heavy-duty plastic storage bins in my review parcel. I had previously been lucky enough to receive a free Flexo kit through a Say What giveaway and had gifted it to my partner&apos;s niece who absolutely loved it. 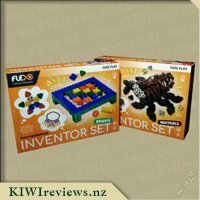 So much in fact that her Mum was researching Flexo and where to buy it soon after as it gave her another challenge on top of the lego that she enjoys. When I saw that this storage container was up for review I thought it would be perfect to give her to store her pieces in when she had finished creating. When I first got the box out of my parcel the first thing I noticed is that it is made of a very sturdy plastic. Some storage containers can be very flimsy and not stand up to the treatment kids can give them. I love all of the different spaces within it - especially the little extra shelf that fits on top of the top compartment. There is definitely plenty of little spaces to put all of the little things. The only suggestion that my partner&apos;s niece had for it was to have something in the lid where she could slip in the instruction book to keep with the set. That way, if she wants to make the intended animal from the kit she could. She thought then if she got others she could have a different storage box for each of them, and store them with their instructions too (I think she is a little organiser just like me!). I am actually a little bit jealous of this container! I make handmade jewellery and have lots of little pieces around the place, and I think these containers would be perfect for this purpose too! And at only $4.95 they are far more worth it than many craft type containers on the market! I think it is a fantastic idea to have their own containers that suit their own product. We were lucky to get to review the flexo Small Heavy-Duty Plastic Storage Bin along with the flexo and the domes. This worked perfect as we then had something to store all our flexo pieces in and keep it all tidy. This box comes with 6 large compartments some the middle one having a divided you can remove to make a larger compartment, ontop of two of the compartments is a orange container with another 5 mini compartments which I have found perfect for the different size tendons (4 compartments) and the tools in another small one. I have filled on of the middle ones with the domes as it seemed to be one of the larger compartments to fit that many domes. Once the stingray is pulled apart will see what we put where but it seems to be able to fit everything even I haven&apos;t filled it all yet. The lid is easy to open and close with this orange tab at the end and the hinges seem solid aswell. I feel if the kids dropped it I wont have flexo all over the floor and running to beat the 1 and 2 year old to it. 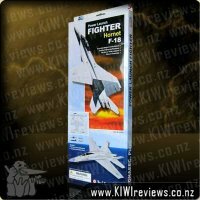 The one thing that would be cool is a little draw, or a pocket on the lid or something to store the instructions that come in the kits, at the moment I have one on top of the compartments but I know more than 2 and the lid might not close well. But that is a minor set back. But I think if the kids get there way with more sets we might have to upgrade to a bigger box. The price is really good for a box and I&apos;m very happy to pay that. We received the Small Heavy-Duty Plastic Storage Bin alongside the crab Ocean Life kit and the Box of Domes. Now, how much can be said about a plastic container? Well quite a bit actually when this storage container is actually one of the best I have come across! Let&apos;s start at the price point. Just a smidge under $5, and I was very impressed with how sturdy it is! Not any of this flimsy and easy to break plastic. High quality (proudly) made in New Zealand plastic all around with a very impressive clip to open and close the container. With its non-slip grip bubbles and slightly flicking out orange clip, it made it very easy to open, even with one hand when the other is occupied holding onto the little crab structure. The compartments inside are great with 5/6 large sections (you can separate the largest compartment to make 2) and then a little lift out part with another 5 sections on that. Plenty of room for all the little pieces of crab building to help separate the different colours and shapes and make the constructing much easier. I am very tempted to buy this brand of storage containers for my kids&apos; other &apos;bits and pieces&apos;! Not only can it hold the little pieces of Flexo building set so they aren&apos;t forced to spend a long time under the couch or in the vacuum, but it&apos;s also great for small important Lego pieces, beads for our crafting and the little sister (who is 3), also managed to take off with it for a little bit and was organising her LOL doll accessories in it! I would love another of this size to put in the car and add some first aid bits and pieces to after seeing how sturdy it really is. I was a little perplexed however at the front, where it stated that the storage container was suited for 8 years and over, as opposed to the Ocean Life kit that is suited to ages 7 and over. I will start by saying how surprised I am that the Flexo Small Heavy Duty Plastic Storage Bin is priced at only $4.95! 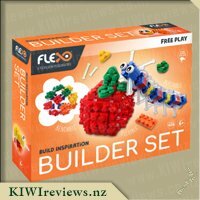 That is amazing, Flexo you&apos;ve outdone yourselves by providing a top quality product, at a reasonable price that is a dream come true for someone like me who is always attempting to put order into my son&apos;s Lego room (and all other odds and ends two little boys seem to accumulate). This is the perfect size for little lego people, hands, heads, torsos and all other bits that come off and more often than not end up in the vacuum cleaner. This is so easy to open, the dividers allow flexibility in how to use the spaces and with the lid going all the way back all the compartments are easy to get to. The box seals in a manner that when tipped over nothing falls out of the compartments they have been put into - that is important when you don&apos;t want the blue coloured blocks touching the red coloured blocks... which often occurs. 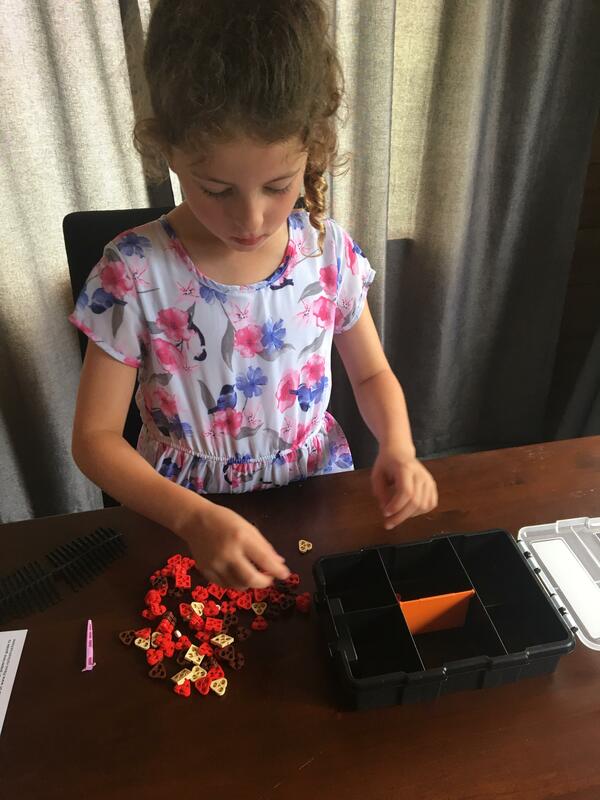 There are 6 compartments and a removable tray that has 5 compartments - which is proving perfect for many solutions in our household. The lid is clear so you can see exactly what you are looking for if you have a number of Flexo Storage Bins. I have a husband who has decided this is perfect for his fishing gear - if he wants to keep a small tackle box handy, he is filling this with the necessary lures, etc. so he can grab it and go when asked to head out on a moments notice. That is a happy place for the men in this house, a fishing rod and tackle - so I imagine we will have more than a few of these Flexo Storage Bins helping keep life organised. This box is durable and appears like it will have a long life of use rather than being a disposable option. We are always trying to minimise plastic in our home but a storage box like this one, with so many benefits, will be long lasting and is well worth the price. We will be expanding our range of Flexo Storage boxes to see if the medium and large Flexo boxes can help us remain organised. Flexo, you have amazed me again. We love Flexo building blocks in this house and the small heavy-duty plastic storage bin has become a must have of mine. Flexo has many small parts as we have discovered and we needed to find something suitable to store these in. 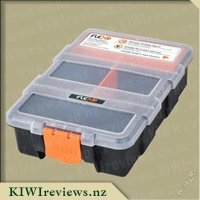 I saw the Flexo small heavy-duty plastic storage bin up for review and thought, well it is a Flexo product. I&apos;m not sure what I was expecting from a plastic storage box but was interested to see if it was any different to other plastic storage boxes. It arrived and on opening the box I saw inside the Flexo storage box. It definitely looks heavy-duty. I started exploring the box. It has the warnings on the top relating to the Flexo product which I thought was a good idea as if someone who does not know Flexo finds the box they will be aware that there are small parts. 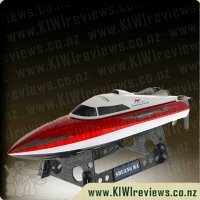 Also as always love the Proudly made in New Zealand. It also contains the Flexo name and details so you know how to get more when required. This box has 6 main compartments and a removal tray with five small compartments that sits on top of two of the main compartments. One of the main compartments has a removal divider for larger items. The hingers seem strong and are along the shorter end with a orange opening clip at the other. 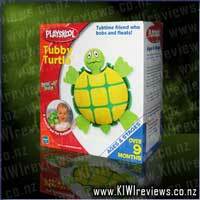 It has a frosted/clear plastic top which I like as I can still see whats inside. I loaded up the blocks that I thought that would test the box the most, the domes and tendons. I seperated the domes into colours in the smaller removable tray and placed the tendons in one of the larger compartments. Then I turned it upside down and gave it a good shake. This is what I would expect to be the least of what the kids will do to the box. It held everything perfectly. Not one tendon or dome was out of place. No more serching through a box to find that small block in that colour you want. I love this box. It is perfect for the Flexo range. It will be a great addition to any set purchased and at $4.95 it is a life saver to stop those little bits getting everywhere. When I need more storage for our Flexo blocks I am going to purchase another one of the Flexo boxes.. 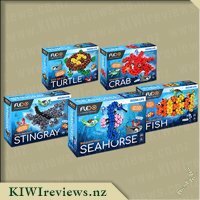 I have a love-hate relationship with lego, I love that it helps my son express his creativity but it hurts like nothing on earth to stand on so when I saw the flexo ocean kits to review I was excited to try but a bit hesitant until I saw that I could also get a storage box so hopefully no bits to stand on. I was happy to see that the box had divisions in it so that the different parts could easily be kept separate and not be a big jumble of parts so that my sons shouldn&apos;t lose interest in the kits too easily. I liked that the lid was a flip top kind of lid so it couldn&apos;t be separated from the box and get lost. It looks like a good strong plastic and the information on the sticker is good to know. It kind of reminds me of a tool box or a fishing box. Being New Zealand made is another bonus, great to support New Zealand businesses. 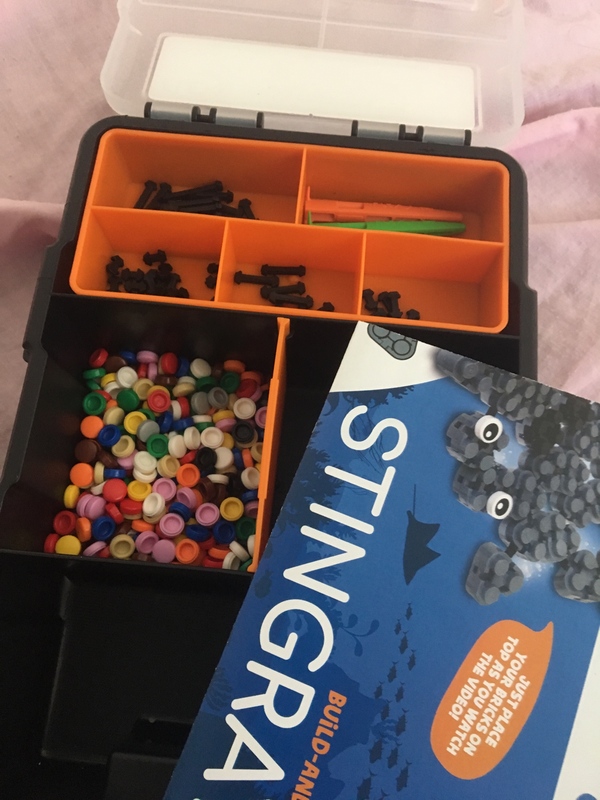 I have one suggestion, have somewhere to put the instructions as my son wanted to keep the instructions in case he wants to build the stingray again but he wants to be sure not to lose it so he has put it on top of the box under the lid but it would be great if there was somewhere to store the instructions for later use. 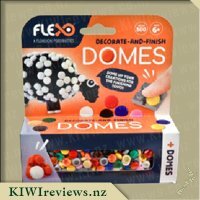 We received the small heavy-duty plastic storage container to review along with the Flexo stingray and a box of Flexo domes. The kids thought that it was just a normal storage container at first and then the oldest one spotted the Flexo label on top and then was quite excited that there was designated storage for the new Flexo. The orange latches are easy to open and close but feel secure once shut, I don&apos;t think if the container was dropped that it would pop open as it feels nice and sturdy. The kids separated everything out in the different compartments and the removable container. The Flexo domes have been separated out due to colour, and there are spots for the spare parts and the two multitools. The container slots onto the bookcase nicely, and I like how the lid is see-through so you can see into the box easily. This would come in handy if your Flexo collection grew and you had a few containers, that way you don&apos;t need to open them all to see what is inside. The bottom of the box says that it is number 5 recyclable, I&apos;m not sure if my local recycling picks that up or not but as the box is so strong I don&apos;t think that this would be an issue anytime soon. There are also pictures of other uses for your container on the bottom which includes using for fishing as a tackle box, a toolbox and as a first aid kit so it does have many uses if you found somewhere else to store your Flexo or if you would prefer to use the cardboard box that it is packaged in. 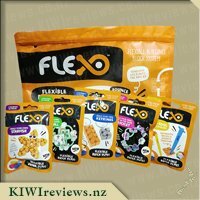 I had never heard of Flexo before seeing the products on the KIWIreviews website, so was intrigued, and to see that Flexo even had storage bins was wonderful. Ever since I can remember I have always had a passion for storage (weird I know, and my home still has some clutter.) With three young children it is essential that I have containers to store their various toys, especially bricks, so they do not get spread around the house, only to end up in my vacuum cleaner bag. When I requested some Flexo to review, I thought it would be a clever idea to also request a storage bin, thankfully I was lucky enough to receive some Flexo and a bin. When the storage bin arrived I was puzzled with how I was going to have much to write about, however, once I started inspecting the bin I found a few things to write about. Firstly I liked how sturdy the box felt, while not being very heavy, the hinges that hold the lid on are well made, and they seem like they will be resilient to the lid being opened numerous times. The main part of the bin is black plastic, with a clear plastic lid held on with hinges. To open the box you just pull the latch up, and to securely close the lid you pull the latch down until it clicks. This particular bin measures 15.6 x 22.8 x 5.8cm in size, and is deceivingly large inside. The inside consists of a large compartment in the centre, which includes a divider to make it into two smaller compartments if you wish. Above this section are two compartments with a short divider which only goes half way up, this is to allow for the separate orange tray which is removable. This tray consists of 5 smaller compartments (3 on top and 2 below,) we have chosen to store our various Flexo multi-tools in the two longer sections. At the bottom of the bin there are two more compartments, however these ones have the divider going all the way up, this has been chosen to store the Flexo domes in. Overall I am very happy with the performance and design of this bin, this will be ideal for keeping the various tendons, bricks, and domes safely stored away, especially from younger family members. I look forward to getting more Flexo products in the future so we can expand our collection, and subsequently purchase more of these storage bins. My oh my what can I say while I thought I may not have much to say about a simple storage container I ended up having many thoughts on why this small flexo storage container was so great. What I soon discovered with flexo is there are lots and lots of tiny parts that can easily get left lying around after my 6 year old son Cai has had a building session with the flexo inventor set. I had no need to come up with a storage solution to keep everything all together because flexo had already come up with that for me!! The tendons were my main concern for losing track of as some of them are absolutely teeny tiny, the removal orange top tray has all the seperate compartments to store each of the different sized tendons keeping them seperate with cordoned off compartments. This was my absolute favourite feature, when you are on a roll with an idea using the inventor system kit it is such a neccessity to have all the different sizes neatly in the right place for quick accessibility. As it lifts out you can take it out of the main storage box to a place more convenient for you while you are building which is also fantastic. Underneath this top storage you also have seperated compartments which we found handy for dividing up the different coloured bricks, and some of the different shapes. There was enough space for us to also store our flexo multitools so everything is tucked away tidily in one place making pack up a breeze for my boy and also allows him to tidily take the flexo from the lounge back to his bedrrom when he has finished playing. 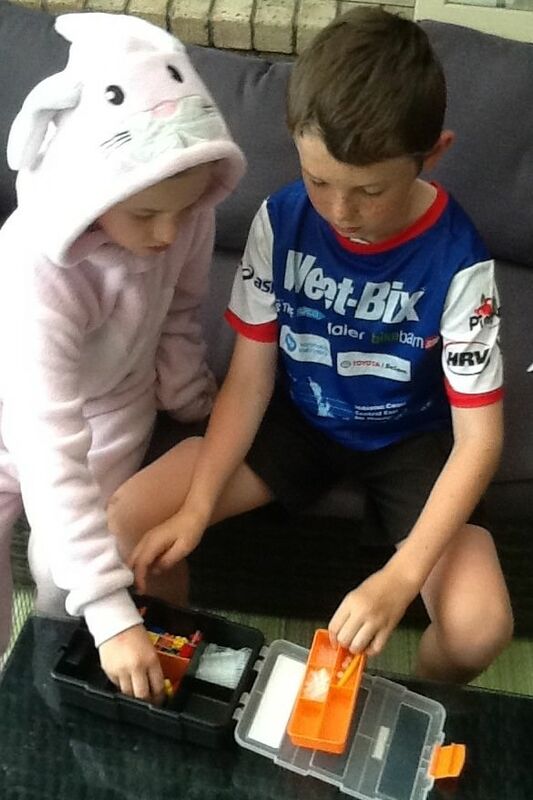 Being a smaller sized box we also thought this would be a great transport box for if he wanted to take his flexo on a sleepover at his grandparents house, would easily go in his overnight box without risking losing pieces. I love the security of the latch system on this storage container, I have a one year old daughter who could find the tiniest speck of fluff on the floor and at this stage everything goes in the mouth, as flexo pieces like lego are relatively small I have to ensure when my older children are playing with or storing the pieces she doesn&apos;t get hold of them. The storage container is great to have them all kept in one place but the latch is super secure and difficult for younger children to open themselves. She can find the container left lying around but even then she can&apos;t get to any of the pieces stored safely in side. These are a great price for how convenient they are for storing your flexo pieces and I would highly recommend them to anyone looking to start their flexo collection. I think we may need to also get the larger storage container as our collection grows as I found these smaller ones were just big enough to hold one of the inventor sets, but we weren&apos;t likely to be able to fit much else in it. I was not looking forward to reviewing the storage bin so I deliberately left it till last in case I came up with some brilliant observation. After all, what can you really say about what is effectively an empty box with a lid? How creative can you get? The children agreed. They could not think of anything either. Well, much to our surprise, this turned out to be one of the most useful toys they have ever had. In fact, I hesitate to call it a toy at all. It is like a miniature version of an adult&apos;s toolbox complete with "tradesman&apos;s" colours, sturdy construction, an interior that can be rearranged to suit the contents, and a price tag that is not going to blow anyone&apos;s budget. 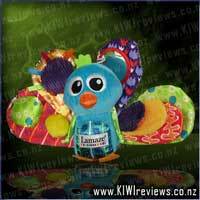 In short, it is the perfect accessory for the Flexo range. When we first examined it, Mr Six asked why I had come home with the small one as it could not possibly fit all the new Flexo pieces. Again we were surprised. We managed to fit the parts for four different Flexo kits and still close the lid, and what is more, the pieces were all organised so they did not get mixed up. 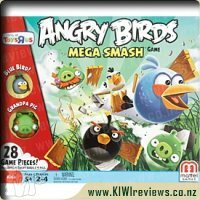 It is hard to imagine one adult and two children getting excited about a box, but that is exactly what happened. The removable section was just right for the tendons; they could be kept separate from the larger pieces, and those tendons still attached to their membranes could be folded and stored in the cavity underneath. Larger pieces could be sorted by type and arranged in the roomier sections, and there was even enough space to tuck in a partially completed project. The middle section of the storage bin has a removable divider which can be taken out to make one big compartment or inserted to make two smaller sections. I ran into trouble with this as I was trying to insert it upside down - the flat edge goes to the top, not the bottom, but luckily Mr Nine put me right. 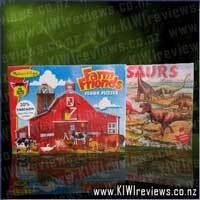 The children&apos;s mother had been watching the children organising their Flexo pieces in the box. She was delighted as she is always trying to get them to tidy up, and in her experience children are far more likely to put things away if they have a dedicated place for them. She also liked the labelling on the storage bin as it advises the appropriate age for children to start using it - according to this, it contains small parts so is best for children eight years and over. However, Miss Six is very safety conscious so neither her mother nor I would have any qualms about letting her use it. It does vary from child to child, but it is useful that this information is included for someone who might be buying for a child they do not know. And finally, my daughter was delighted to see that the container is recyclable so if it did happen to break it could be disposed of properly. Not that we are expecting it to break. It looks pretty durable to us! 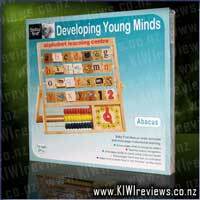 This abacus is full of interesting things to look at and do. The letters are accompanied by pictures of an object starting with that letter on one side and both upper & lower case letters on the other side. Beads to be counted are at the bottom, and a clock with movable hands all add to the attraction of this wooden learning centre.